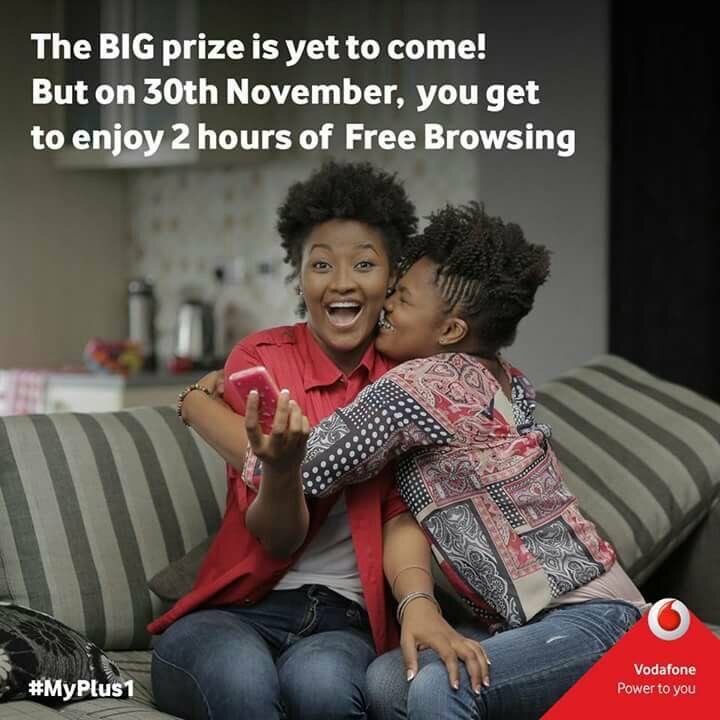 You get to browse for free from 10am to 12pm of today 30th November,2016 with any vodafone sim. You need not subscribe to anything. Just insert your sim and start browsing for free. It's just 2 hrs. Make the most out of it. Vodafone Free browsing is here again oooo. Vodafone is offering its customers free browsing tomorrow that is on the 20th of December 2016 to all its customers. It is 2hrs of free browsing. No Need to subscribe anything. It starts from 10am and ends at 12pm on the dot. Just insertyour vodafone sim between these hrs and browse unlimited for 2 good hrs. Free de3 3y3. Today is the day. Remember it begins at 10:00am to 12:00pm. Make the best out of it. No subscription, its unlimited within that time frame. Just insert your sim and browse. Thanks. I'm just hoping they don't throttle down the speed this time round. For those you you who missed this free browsing the other time. It's here again. You get to browse free between the hours of 10am to 12pm. It's just 2hrs unlimited. Look Sharp. HACKGH4LYF TIME ASO OOOO TIME ASO.